A widespread species of reedy river and stream margins where the current is slow and at the edges of a wide variety of ponds, lakes and ditches. 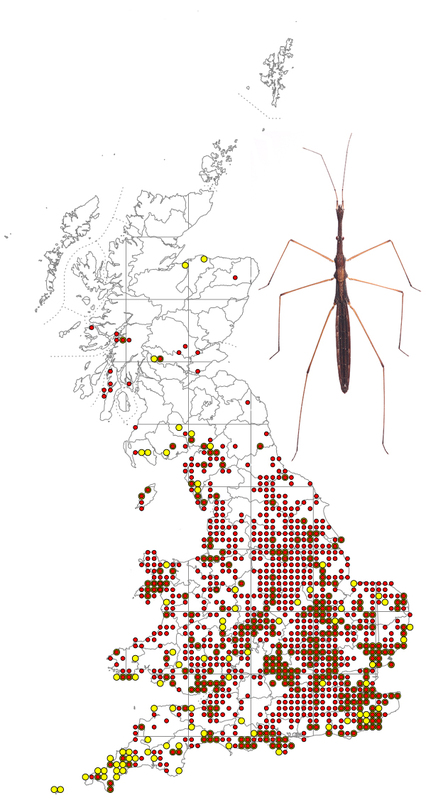 The only other species in the UK that H. stagnorum can be confused with is the very rare H. gracilenta which is known from only a few sites in eastern and south eastern England. H.stagnorum is longer the H. gracilenta (9.0-11.5 mm as opposed to 7.0-8.5 mm).The hind femur of H. stagnorum is relatively longer reaching almost to the end of the abdomen while in H. gracilenta it is shorter reaching about two thirds of the length. The eyes of H. stagnorum are located about 1/3 of the way along the head (see below) while in H. gracilenta they reach almost half way. The nymphs of H. stagnorum have sometimes been confused with H. gracilenta.